My Memory Book 4+ is designed to record the experiences, from ages 4 to 8, of a child separated from their birth family. It will also: help them understand the reasons for their separation and to make sense of what has happened; preserve the memories of this important stage of their lives; help carers and professional record the minutia and anecdotal aspects of development; offer explanations and information; assist the child in the formation and promotion of their identity. 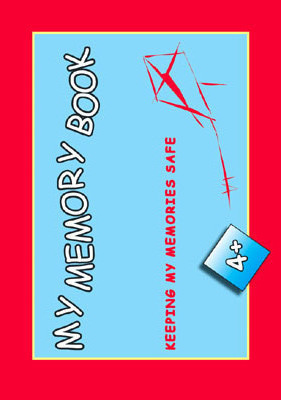 Guidance for professionals and carers an use of this book and those for older children - My Memory Book 0-4 and My Memory Book 8+ - is provided on removable pages and in more depth in The New Life Work Model Practice Guide, all available from RHP.